Sand’s Florist is a full service florist proudly serving Jackson and the surrounding area as the oldest flower shop in town! Let the talented designers at Sand’s Florist create perfectly beautiful bouquets for all your special occasions… birthdays, speedy recovery, congratulations, anniversary or just because. We offer customers a variety of floral design styles from timeless and traditional to contemporary and eclectic. You’ll find an unparalleled assortment of beautiful roses and exotic fresh cut flower and live plant varieties. Owners, Chris and Jerri Sue Maxwell invite you to stop by Sand’s Florist at 18 Old Hickory Cove in Jackson. Call 1-800-353-2479 or 731-668-3140 to place orders for local delivery or anywhere in the world. Not sure what to send? We'll gladly help you with creative suggestions. Wedding & Special Event Flowers ~ With Sand’s Florist designing the bouquets and floral arrangements, your special occasion is sure to be a “blooming” success! Call us in advance and make your appointment for a consultation with a designer or event coordinator. All Occasion Gifts ~ Find the perfect gifts to please all ages at Sand’s Florist! Browse our assortment of English dish gardens and other green and blooming plant selections for a gift that adds life to any room or office. In addition, we offer an array of items including fruit baskets, snack food baskets, chocolates, candy, balloons, adorable plush toys, angels, cherubs, ceramic churches and more! 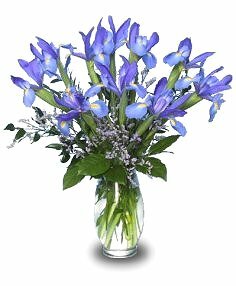 We deliver the freshest flowers and brightest smiles! 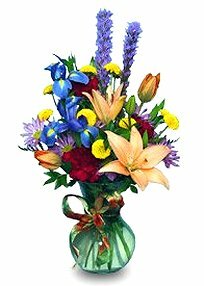 Sand’s Florist is a Teleflora shop with free delivery to all local hospitals and funeral homes. We are open to serve your floral and gift giving needs: Monday through Friday 8:00 am to 5:00 pm, Saturday 8:00 am to 12 noon and Sunday by appointment only. All major credit cards accepted.